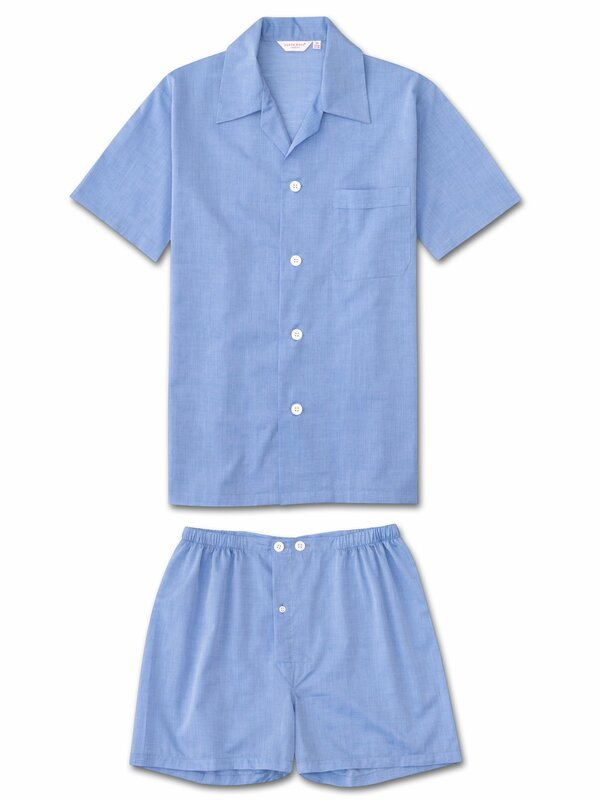 Mid blue, lightweight cotton batiste short pyjama set. Our fine, soft fabric is a treat to behold. Enjoy it when the evenings get warmer. Styled for a comfort with short sleeves, above-the-knee shorts and a classic, collared button through top. Wash and wear this pyjama set for years to come because this fabric lasts wonderfully well. As you would expect form Derek Rose, this short pyjama set will be a staple in your sleepwear wardrobe for years to come. Our Amalfi cotton has been part of our brand since 1980 when Derek Rose embarked on a search for interesting lightweight fabrics.